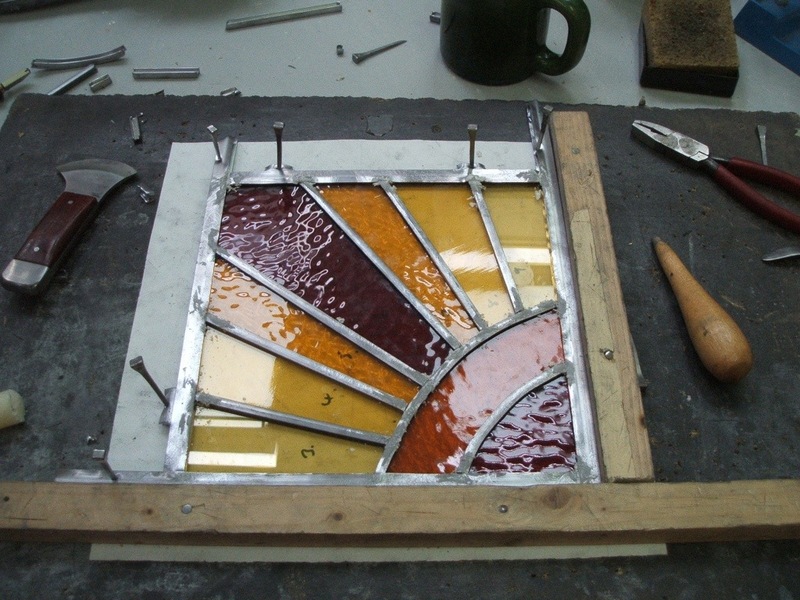 Yesterday I learnt to make stained glass at Rainbow Glass Studios. Here is the result of my work. I’m not one of natures natural stained glass makers. Not precise enough, but I’m pleased with the result all the same. Next month I go back to try glass painting which I think should suit my style better. My cunning plan to help myself write more blogposts (with pretty pictures) by buying an iPad has been temporarily thwarted by modern technology. The nice man in the Apple Store showed me how to link to WordPress. Ah, I thought, I can carry the iPad around with me and take photos or download photos directly to it. I even bought a special connector thingie to put my camera card into. However, what I hadn’t realised is that my camera is, in technology terms, a dinosaur! It is a little compact Fuji digital and it has served me well – tough enough to put up with me throwing it in my bag, small enough to carry round easily and it takes colour and black and white photos. Trouble is it has an XD card rather than an SD so the Apple connector I bought is no use! I know I can take photos directly with the iPad, but I don’t like the colouring of ones I’ve taken so far… and I’ve worked out how to download photos via my PC to iTunes and then onto my iPad but frankly that’s just too much faff for anything apart from moving some of my favourites. So, I’ve just discovered there is a different adapter that lets you plug in your camera to your iPad via a USB lead so I’m waiting for it to arrive and keeping my fingers crossed. I’ve also bought an SD card to put in the newer version of the same make of camera owned by the Scotsman just in case. (He mostly uses his phone to take photos these days). Phew!!! In the meantime, I have missed telling you about the slow movement of my embroidery towards being finished. I’ve decided that I love bullion knots almost as much as French knots – especially the great big fat ones I did, which look like little stripey bugs! I’ve also learnt how to do pendant couching and bought two books on stumpwork….now I’m tackling another version of needlelace. Photos soon I hope.